I like people who throw out ideas. Sometimes they work, other times they fall flat. But at least something is tried and ultimately something is learned if people are not afraid to throw some weird ideas against the wall. Use Twister Lift (for fun! )—This idea is not to turn Twister on all day every day but make it an event—make it a party. Maybe CBMR could consider running it on just Friday, Saturday and Sunday from 2:30 to 3:30. Twister is an iconic Colorado double chair resting silently just outside Uley’s Restaurant on the front of the ski resort. It can still run after some maintenance work but it is a “redundant lift,” so CBMR has sort of mothballed it. That’s understandable, but Twister gets some of the last sun of the day. Bring it back into play and call it the Twister Happy Hour. Sell some PBRs out of a bin at the bottom. Bring in a DJ or a band or a boom box but make it a party at the end of the day. There’s something special about Twister. Bring some fun to the sunny side. 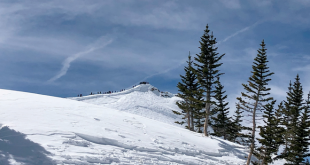 Introduce skiing to native Coloradoans—There was a news story on TV last week detailing the lack of kids from the Front Range who ski. It is primarily an economic situation. Apparently the majority of kids living in Denver, Fort Collins and Colorado Springs have never made it over Kenosha Pass. 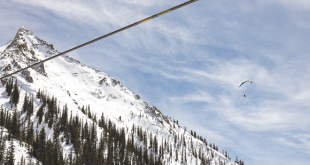 So maybe CBMR and the Tourism Association can partner with some sort of alternative school program and take a few late January weekends when it is slow and partner with a bus company, some lodging and some rental shops to introduce Colorado kids to … skiing (or fat biking). Bring them to what would likely seem a storybook setting in Crested Butte and give them one night and a couple days of lessons. 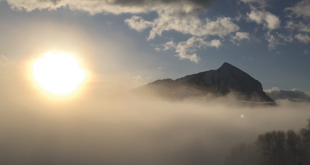 Find some grants, partner with schools, charge a nominal fee and keep your ski instructors busy with introducing the sport to a new group who just might get hooked and come back. You get not only good karma, but a loyal growing client base for decades. It might actually be a good, long-term business decision. 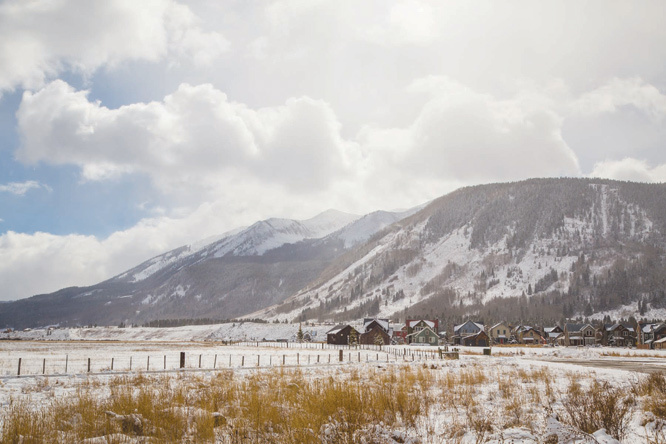 And the biggest new idea thrown out here this week is how to handle the 44 acres north of Crested Butte, the Slate River development hybrid plan. My initial impression is that the development idea is pretty darn good—at least on first impressions. The 30 free-market homes (reduced from well over a hundred) would get hooked up to a town sewer system instead of using septic tanks along the Slate River. The public would get land for parks, a potential school building, affordable housing and a possible fire station. The sledding hill would move there from Big Mine Park, which means the skate park probably wouldn’t move—and that is a smart thing. The town and developers have struck a compromise and want more feedback. There are still some issues lingering out there (house sizes being a big one and water being another) but there are a few weeks to digest and evaluate the idea. Take some time to think about it and let your representative know what you think before a public meeting scheduled for January 25.